Freshman Democratic New York Rep. Alexandria Ocasio-Cortez and her top aide Saikat Chakrabarti have reportedly been removed from the board of Justice Democrats PAC. Ocasio-Cortez, one of the youngest US representatives, as well as her chief of staff Saikat Chakrabarti, who also served as her campaign chair, are no longer board members of the political action committee, the Daily Caller reported, citing the Justice Democrats' website. The website also said that Ocasio-Cortez and Chakrabarti held "legal control over the entity" in late 2017 and early 2018. According to the Daily Caller's previous reports, attorneys for Ocasio-Cortez said she was removed from the PAC's board in June 2018, but she was listed as an "entity governor" of the Justice Democrats until March 14. On March 15, the congresswoman and her top aide were officially de-listed from the PAC's board, as reported by the Daily Caller, citing a corporate document. Ocasio-Cortez is currently facing three complaints regarding possible ethical and financial rules violations. 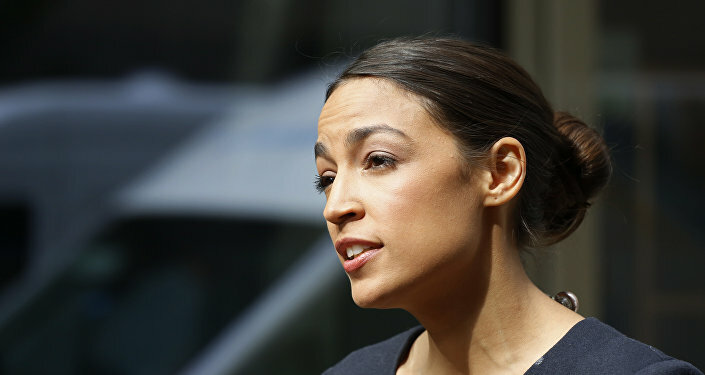 One of the complaints, filed with the FEC, came from the National Legal and Policy Center and suggested that an incestuous relationship existed between Ocasio-Cortez's campaign and the Justice Democrats, which at the time was controlled by the congresswoman and her chief of staff, in addition to alleging campaign finance violations. Previously, former FEC commissioner Brad Smith told The Daily Caller News Foundation that if Ocasio-Cortez and Chakrabarti had maintained control of the Justice Democrats PAC and the PAC had operated in affiliation with her 2018 campaign, the congresswoman could be subject to "massive reporting violations, probably at least some illegal contribution violations exceeding the lawful limits."